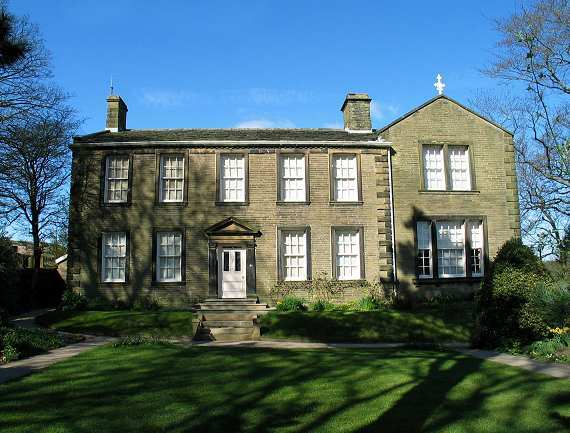 Haworth Parsonage was built in 1778 -9. 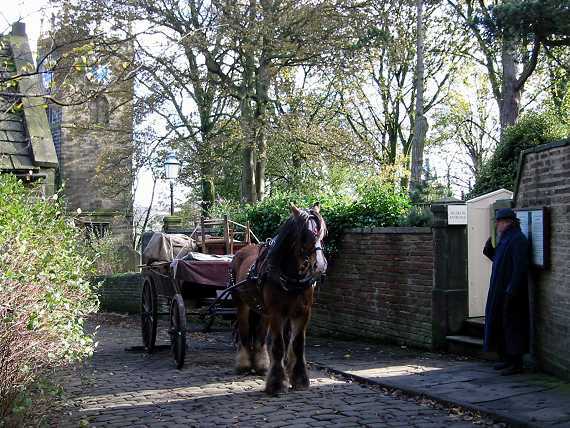 On the 20th April 1820 Patrick Bronte, his wife Maria and their six children, moved to the Parsonage at Haworth. 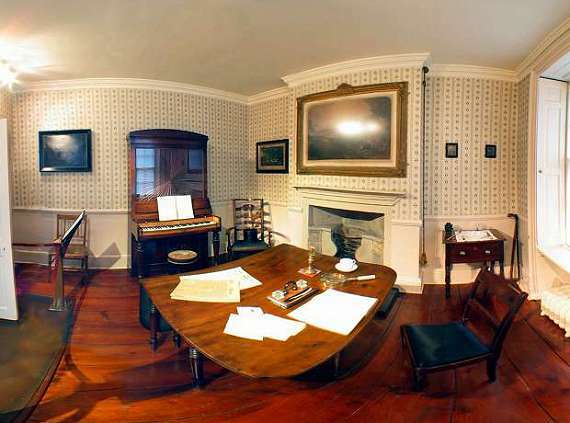 Inside the dining room is where Charlotte, Emily and Anne did most of their writing. Wuthering Heights, Jane Eyre and Agnes Grey were written here. 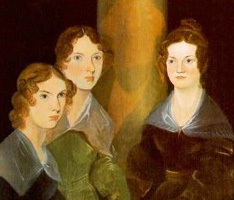 The Bronte sisters had a routine of walking around the table in the evening planning their novels and other projects. 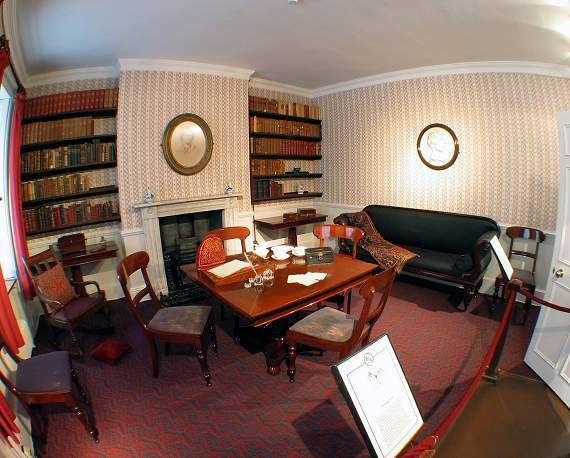 Inside Mr Bronte's study is where Patrick Bronte carried out his daily work on behalf of the Parish. 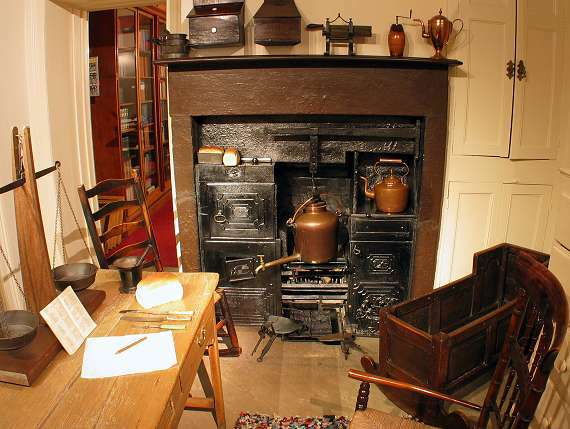 Letters raising the poor sanitation in Haworth were written here. On the table is a magnifying glass to help Patrick Bronte read, his sight became poor, and at age 69 it was necessary for him to have a cataract operation in Manchester. 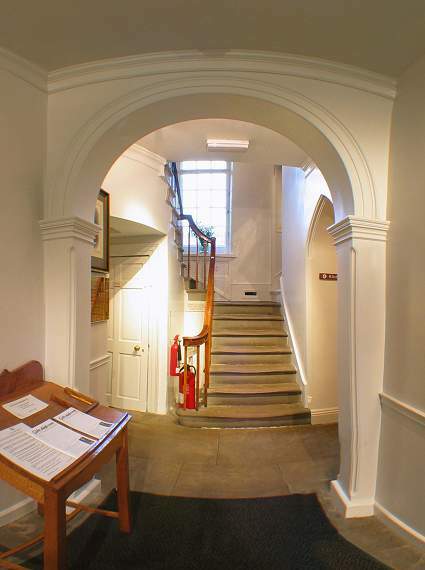 The door to the left of the range is access to the gable wing which was built after the Bronte's and now houses the library which is private. 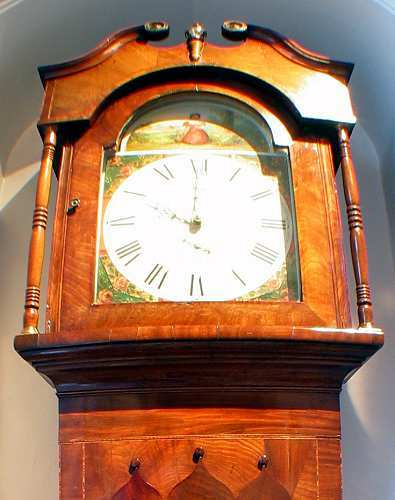 Next on up to the first floor, halfway up the stairs is a long case clock made by Barraclough of Haworth. It is said Mr Bronte would wind it up every night at nine o'clock. 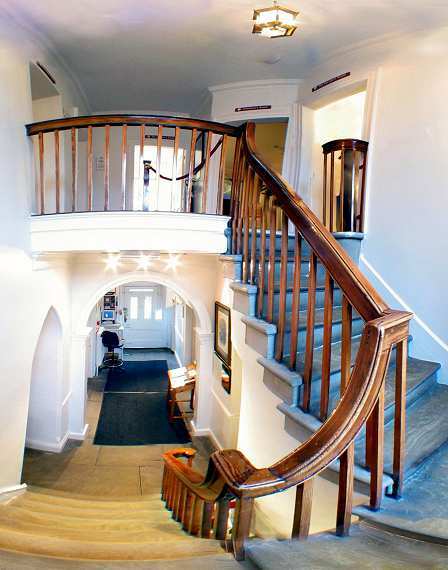 Up the stairs to the first floor. 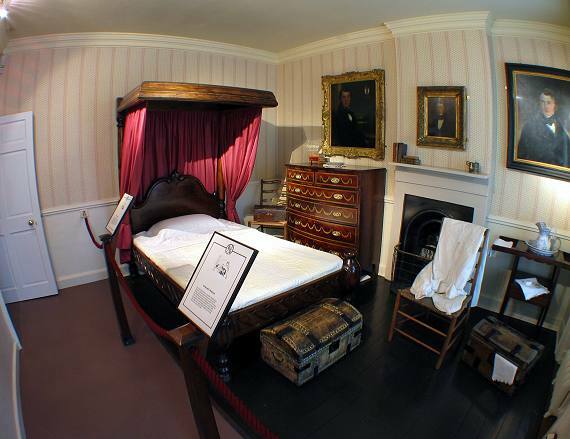 Mr Bronte's Bedroom. 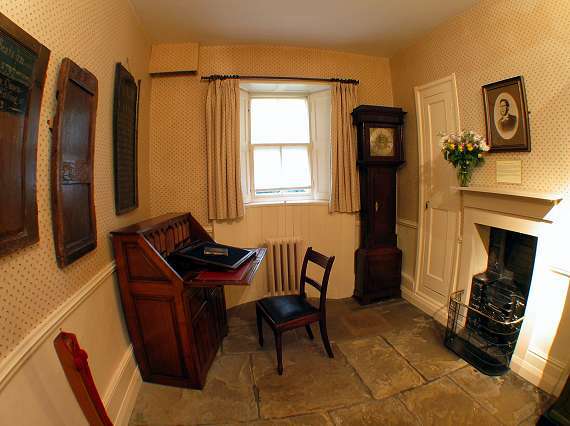 Patrick Bronte moved from what is now called Charlotte's room after his wife Maria died in 1821, he died in this room on the 7th June 1861 aged 84. He is said to have discharged his guns from the bedroom window into the graveyard every morning. Patrick Bronte knew first hand of Luddite and Chartist unrest and kept a loaded pistol by his bed at night for security. The Children's Study. 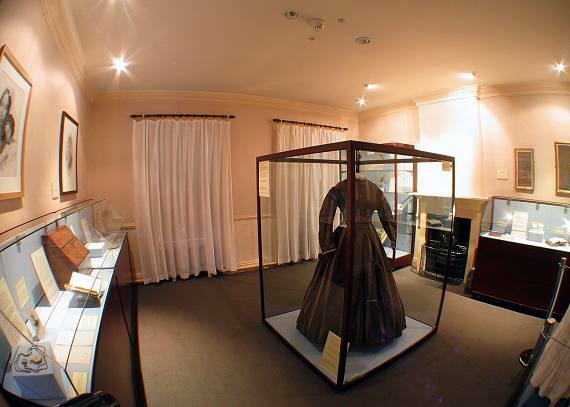 This room would have been wider, the hallway and this room were made narrower in the 1850's to allow for bigger rooms in the house. The servants recount how the children used to play in the room telling their stories of Angria and Gondal. 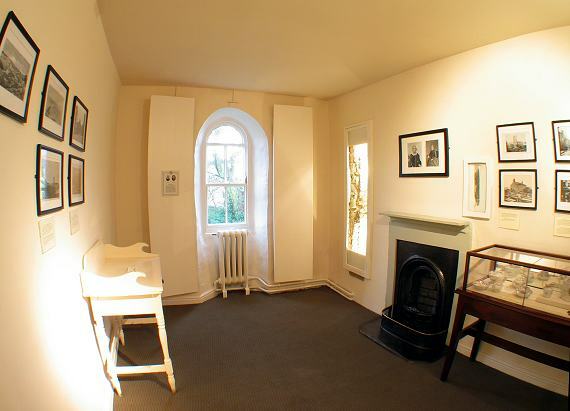 It is likely that Branwell being the only boy may have used this room for his bedroom at some time. 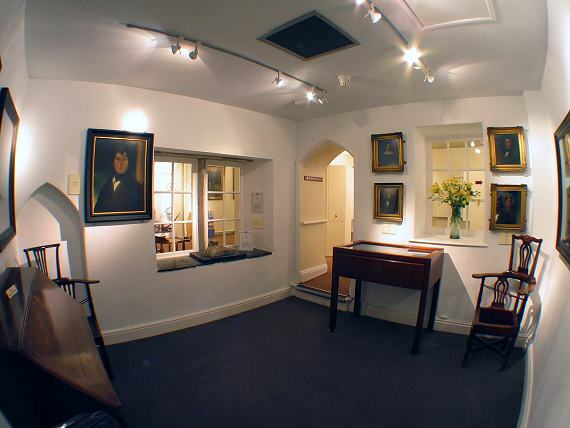 Branwell's Studio. 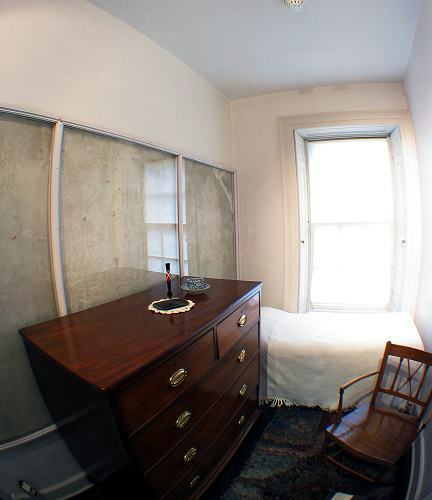 This room initially would have been a bedroom, to what extent Branwell used it as a studio is speculation. His career as a portrait painter was short spending some time in Bradford.